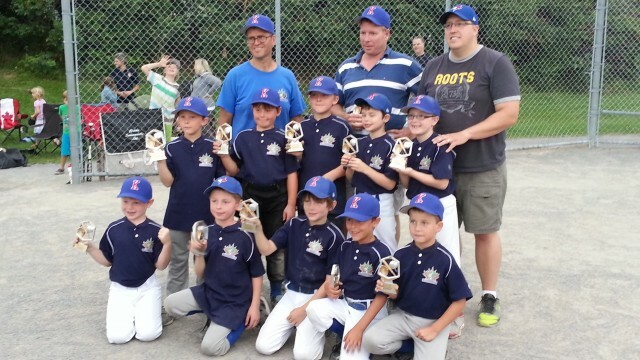 Updated Sunday April 24, 2016 by Kanata Little League. The Rookie B1 Cubs had an incredible 12 game regular season finishing first place in the Rookie National city wide interlock division with 11 wins and only 1 loss. With only 8 players on the field, they played fantastic defense to beat the Orleans Red Sox in their semi-final advancing to a final against the season's secon place team, Ottawa West. The final featured more incredible defense by both teams, and going into the bottom of the 6th inning, the Cubs were down 8-6. A stunning rally saw them reel off 6 straight singles to walk-off the win 9-8!